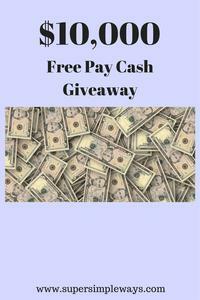 Prize: $10,0000 total free paypal cash First $1000.00 will be given to one lucky winner on 2/4/18, Valentine's Day! Follow the rules to win. What you must do to enter: Subscribe to blog, instagram, a few free websites included. Statistics: This contest was opened by 289 and entered by 15 ContestChest.com members. 5% of those who opened the contest, entered it.